EU beet sugar manufacturers, represented by CEFS, and sugar beet growers, represented by CIBE, regret the departure of the UK from the EU. We remain convinced that the best option to avoid disruption of EU-UK trade and of the EU sugar market itself would be for the UK to remain in the Single Market and customs union. Given that these options seem less likely under the current UK government, we would like to highlight a number of concerns. CEFS and CIBE welcome the proposal of the European Commission for a status quo transition period to cover the period between the official departure of the UK from the EU in March 2019 and the entry into force of a new EU-UK trading arrangement. We call for flexibility concerning the duration of this transition period in the light of past experience. No EU trade agreement has been concluded and provisionally applied in 21 months. Should no agreement be in place by 31 December 2020, the transition period should be extended in order to avoid a ‘trade gap’ and consequent disruption of sugar trade flows between the EU and the UK. After Brexit, the UK will be a major third country export market for beet sugar from the EU-27. The UK is a deficit sugar market and depends on EU exports to meet domestic consumption. It is therefore essential that sugar producers in the EU-27 retain current access to the UK market with minimal disruption during the period of negotiation and implementation of the new trading arrangement. The trade policy that the UK government looks likely to pursue raises risks. A reduction of duties applied to imports of raw sugar for refining would result in increased quantities of refined cane sugar on the UK market. This could prompt an increase in exports of UK beet sugar to the EU: in other words, triangular trade. We call on the European Commission to take steps to prevent this. The current status of the UK as an EU Member State must not prejudice the discussions on rules of origin. In line with the EU’s other bilateral trade agreements, the refining of imported, third country cane sugar must not confer origin under the new trading arrangement. Non-originating sugar used in the manufacture of processed products to be traded under preference must be subject to an upper threshold by weight. Cumulation of origin must be prohibited. The EU’s concessions on sugar were negotiated as a bloc of 28 Member States. These concessions must be fairly divided between the UK and the EU-27 to reflect the respective import shares of each partner. This goes for the EU’s WTO (‘CXL’) tariff-rate quotas and for the bilateral quotas, most notably with Central America and South Africa. 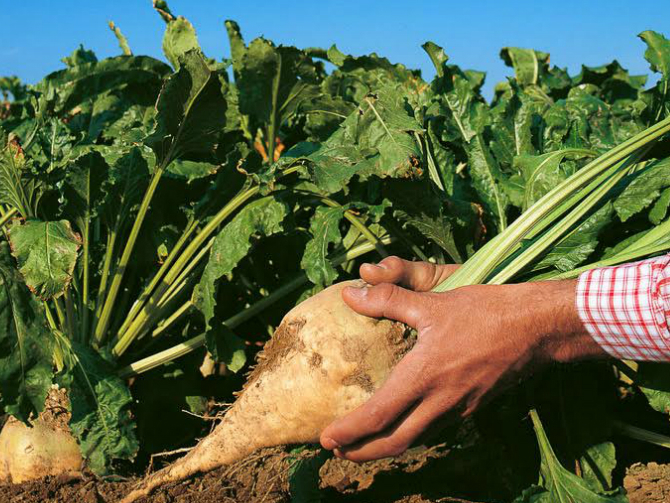 The EU beet sugar sector cannot afford the increase in real market access for third countries that would result from maintaining the EU-28 quotas at their current level for a diminished EU. Leaving the Central America and South Africa TRQs undivided would result in an increase in real third country market access to the EU-27 of 120,000 tonnes, based on historical quota utilisation rates. – The duration of the transition period must be as long as necessary in order to avoid any disruption of trade between the EU and the UK. Maintaining current EU-27 access to the UK market – and vice versa – is a priority for the members of CEFS and CIBE. – After Brexit, the UK will be a major third country market for beet sugar from the EU-27. It is therefore essential that sugar producers of the EU-27 retain the current access to the UK market without disruptions. – If keeping the UK in the customs union is not viable, the EU must put mechanisms in place to ensure that it is not a victim of triangular trade in sugar. – The EU’s existing market access concessions must be fairly shared between the EU and the UK. This goes for the EU’s WTO (‘CXL’) quotas, as well as for those bilateral quotas with partners such as Central America. – The European Commission, Parliament, and Member States must take Brexit into account in the context of ongoing and upcoming trade negotiations with Mercosur, Mexico, and Australia. The EU must henceforth engage in free trade negotiations as a Union of 27, not 28, Member States. In customs terms, this means that the manufacture of products falling under HS heading 1701 must be subject to at least a change in tariff heading in order to benefit from bilateral preferences.